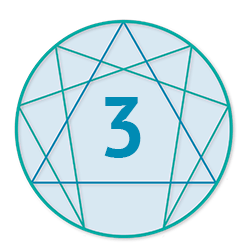 This is the first part of 3 workshops, and is the workshop for you if you are new to Modo's Enneagram Pathway. We begin the journey together by learning about the 9 types of personality and how they are constructed within our three centres… our thinking, our feeling and our instinctual centres. Come and discover yourself through this dynamic and profound framework called the Enneagram. Are you ready to embark on a journey of self-discovery like no other? 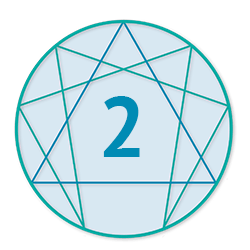 If you have completed Part 1 of Modo's Enneagram Pathway, and if you are ready to pry under the foundation of who you think you are… then Part 2 is for you. In Part 2, we go deep sea diving into what’s delightful and sometimes disastrous about our personalities. We will discover our underlying attitudes, our habituated patterns of behaviour, our defence mechanisms, emotional reactions, our deepest motivations and our highest potentials. This workshop will be devoted to the primary goal of the Enneagram: to provide us with a broader perspective on our lives and to use these insights as a basis for personal growth and transformation. This is the workshop of all workshops. This workshop is open to participants who have completed Part 1 and Part 2 of Modo's Enneagram Pathway and who are dedicated to their own transformation and liberation. Our Part 3 Retreat which is held in beautiful surroundings will take you deep into connecting with yourself through your three centres. We combine new and ancient practices to encourage the mind, heart, body connection - for a truly awakening experience. Are you ready to taste liberation from Personality? Are you ready to fall in love again with your true nature?